Displaying posters, information, memos and other media, whether inside or outside your premises, requires some thought and forward planning. Aside of developing the materials themselves for display, you need to consider how you will present them, how you will keep them safe, and what you will do when you want to change them. Welcome to our range of lockable poster frames, designed to offer you the flexibility and aesthetic compatibility for your display, alongside a robust, secure construction to ensure things stay as you planned. Whether you need an indoor or outside display case, we’ve got the perfect product right here for you. Here at Valentino’s Displays, we stock a wide range of poster case solutions to suit your needs and budget. We understand how important branding, security and appearance are to your business, and have sourced our stock of display frames to bring you the best options available. Choose between a simple, elegant silver finish and our range of eye-catching coloured, anodised or wood grain display frames. 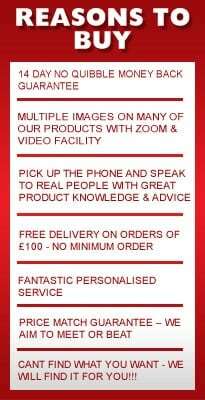 We stock hundreds of products in all shapes, colours and sizes, so that you can place your order today and have it delivered tomorrow. Our enclosed bulletin board products are available UK wide on either super-fast delivery or great value standard delivery. We can even ship our products worldwide; just ask us about our amazing value export rates. For outdoor poster board solutions, our lockable poster frames are the perfect product. All our enclosed bulletin board systems are completely weatherproofed, so no matter what the wind brings, your materials will stay secure and looking great. The weatherproof seal around the door is designed to keep dampness out and to stop your media from curling or spoiling inside. Restaurants and catering businesses in particular love our products to use as their outdoor menu boards. They understand the benefit of our high security lock and hinge system, as well as the 2mm strong plastic glazing, perfect for keeping vandals away from their beautifully designed and presented menu. Outdoor menu boards can now look smear and condensation free, thanks to our high quality enclosed bulletin board systems available here on our site. Whether you’re in need of an outdoor poster board, a community notice board or some other type of enclosed bulletin board, you can trust Valentino’s Displays to provide the best on the market. Our unique 14 day no quibble guarantee means you can buy in confidence and check the quality for yourself. If you need advice on any of our products or have any questions about display, our expert team are right here to help. Call us today, and see for yourself why we’re the UK’s top choice for all your display needs.